I'm a born project manager: goal-oriented-problem-solver, sticky-note-loving-systematic-nerd, and easily motivated by the right soundtrack. I work closely with clients to determine their brand's needs, create and expand their online presence, and exceptionally convey their business' message through stunning websites, brand identities (logos, themes, etc), and additional deliverables (business cards, labels, apparel, etc). If you are an individual at the very start of building your online audience, or aiming to re-design your current brand's look, or an established company looking for an energetic addition to your project management team, contact me today! Social Media Manager: responsible for expanding Doro's social media reach through brand relevant photography and consistent message, engaging current and potential guests through Instagram, Facebook, and Twitter. Project Manager, working closely with Chef Chris Polidoro in organizing staff logistics, communications, and private events. — Jessica Polidoro, on behalf of Restaurant Doro. 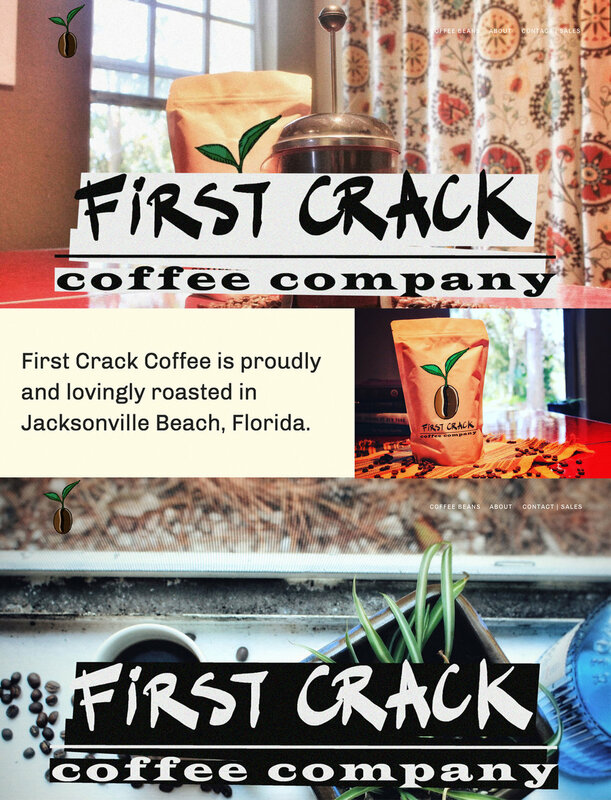 Branding consultant, graphic/web-designer and social media manager for the local coffee roasting start up. Deliverables: company's logo, website, Facebook page, Instagram feed. — Erin Bailey, Director Of Training for The Social Family. Web-designer, responsible for the re-design and re-launch of the social media safety and awareness company's website. Branding consultant, graphic and web-designer for the up-and-coming local hospitality and events company. Deliverables: company's logo, event venue logo, website, Facebook page, Instagram feed. — Chef Paula Emery, of Cookin' With Love by Paula. Worked closely with client to 're-vamp' her long-time catering brand, Cookin' With Love by Paula, by establishing a strong online presence through web and social media outlets. 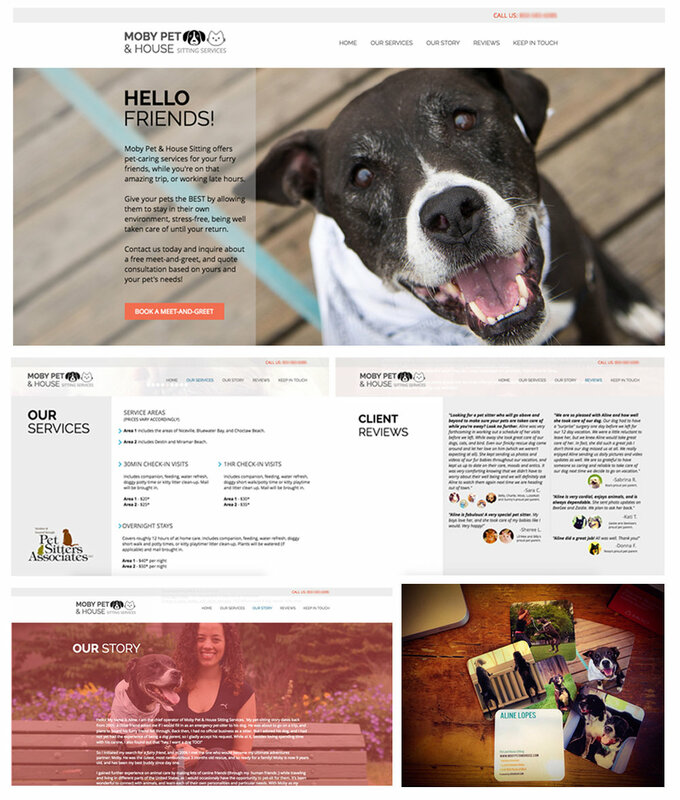 Deliverables: website, Facebook page, Instagram feed. Before committing to the business of freelance, I owned and operated very fun, very rewarding business for almost 2 years. Moby Pet & House Sitting was my way a combination of engaging into my love of animals and making sure my clients ("pet-parents" as I liked to call) rest assured that their furry friends were in good hands. I was responsible not only for solely operating the business, but also its marketing and online presence. Deliverables: website and business cards. — Sabrina Reber, Owner at Vin'tij Wine Boutique & Bistro. Designed t-shirt artwork for client's restaurant merchandise. Executed graphic design projects while also working as a member of the serving staff. Included in these projects were the re-design of the "wine tasting guide" you see on the image. This guide also included a small menu with the featured dishes, and was made in an convenient format, so the client could easily change the different event's wine and food selections. Deliverables: "mosaic fish" inspired logo design for t-shirts, wine tasting guides for 4, 5 and 6 varietal selections. "Collaboration" is pretty much my favorite word! Below are a few of my past and current clients whom I've had the privilege to partner with. Wanna add your name to that list? Oh, why didn't you say so earlier? There's no better time than now - contact me here.